With the NanoDrop 8000, you can measure more samples in less time without sacrificing the reliability and easy-to-use technology of the single sample model. The NanoDrop 8000 delivers full-spectrum UV-Vis absorbance measurements for up to eight samples at one time. 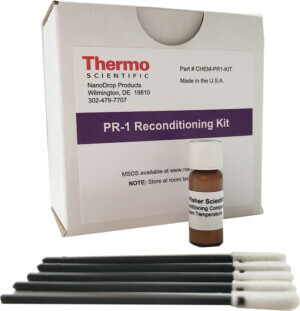 Using the patented sample retention system the NanoDrop 8000 provides the same accurate 1 µL DNA, RNA, and protein sample measurements as our single channel spectrophotometers. 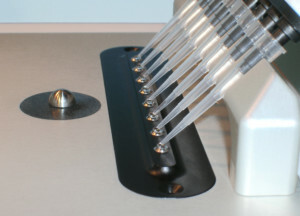 Displaying a full-spectrum for all samples, the NanoDrop 8000 is designed for higher throughput evaluation of precious samples when downstream requirements for sample QC are critical.